– Axial motor-fan with direct coupling, low installed power, low noise levels. – Tower body and tank entirely made of fibreglass, corrosion-free material. – Distribution system in PVC, PP or PE equipped with wide non-clogging PP spray nozzles. – Fill pack with different kinds of air/water channels, suitable for the use with different water types. – Capacity: from 18 to 860 KW (indicative capacity referring to a machine, thermal gradient 5°C). The MCT series is suggested for small/medium-sized installations and indoor installations. All models are totally pre-assembled at our factory. – Tower body and tank entirely made of fibreglass, corrosion-free material. – Fill pack in PVC or PP with a high heat exchange surface. – Distribution system in PVC or PP equipped with wide non-clogging PP spray nozzles. – Centrifugal motor-fan with transmission belt, low noise levels. 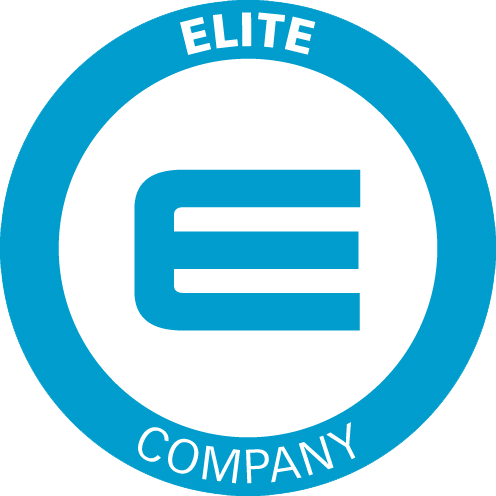 – Air inlet and outlet silencers available. Capacity: from 28 kW to 1.5MW (indicative capacity referring to a machine, thermal gradient 5°C). SHELL (casing, top and -optional- basin) entirely made of fibreglass reinforced polyester resin, structurally self-supporting and of exclusive MITA design, with gelcoat external finish as UV-protection. WATER COLLECTION BASIN with sloping base to allow complete emptying, and smooth internal finish with rounded corners for easy cleaning. Equipped with flanged water outlet, overflow, drain connections and make-up (complete with floating ball) connections. 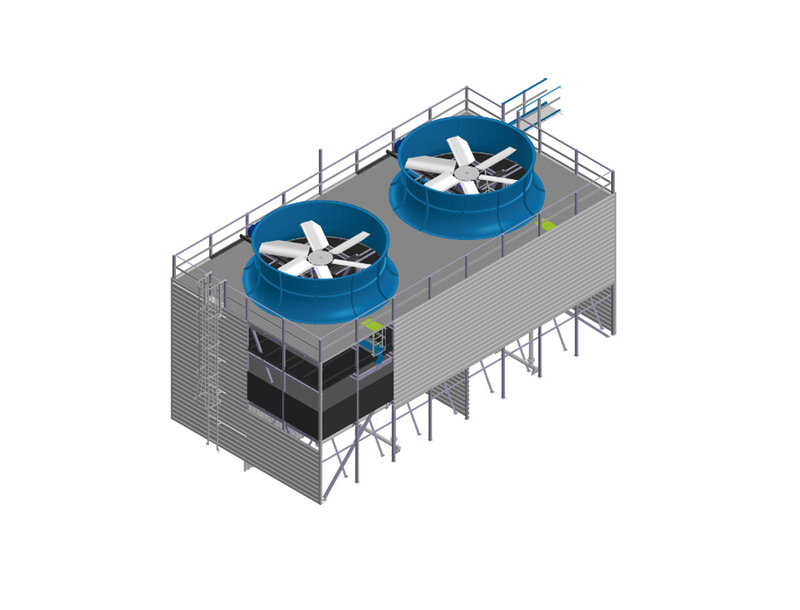 The cooling tower with basin is complete with FRP air inlet louvers. NUTS AND BOLTS in stainless steel AISI 304.
three-phase electric motor, sealed execution (IP56), without ventilation, with back closing shield, multi-voltage (230/400 – 400/690) and multi-frequency (50-60 Hertz), with tropicalized windings, class F insulation. HATCH for visual inspection in nylon reinforced with fibreglass. DRIFT ELIMINATORS, high efficient, certified by EUROVENT, consisting of three folds PP sheets, thermoformed under vacuum and welded together to form panels of such shape and size as to guarantee maximum efficiency of droplet separation from the airflow drawn by the fan. WATER DISTRIBUTION SYSTEM made of PN 10 pipes and connectors complete with flanged connection, entirely made of plastic material, consisting in a main header and branches with non-clogging, static type, spray nozzles. This system grants a perfect and even perfusion of the fill pack, and therefore an optimal performance. The non-clogging nozzles are made of isotactic polypropylene with full cone (120° angle) spraying. FILL PACK (or heat exchange surface) consisting of PVC or PP sheets, thermoformed under vacuum and welded together (air/water channels of different kinds suitable for the cooling of different water types). The shape and the size of the fill pack optimise the contact between air and water, and therefore the heat transfer process. – Air inlet and outlet silencers available. Capacity: from 28 kW to 1.5MW (indicative capacity referring to a machine, thermal gradient 5°C). SHELL (casing and basin) entirely made of fibreglass reinforced polyester resin, structurally self-supporting and of exclusive MITA design, with gelcoat external finish as UV-protection. WATER COLLECTION BASIN with rounded corners, equipped with flanged water outlet, overflow, drain connections and make-up (complete with floating ball) connections. 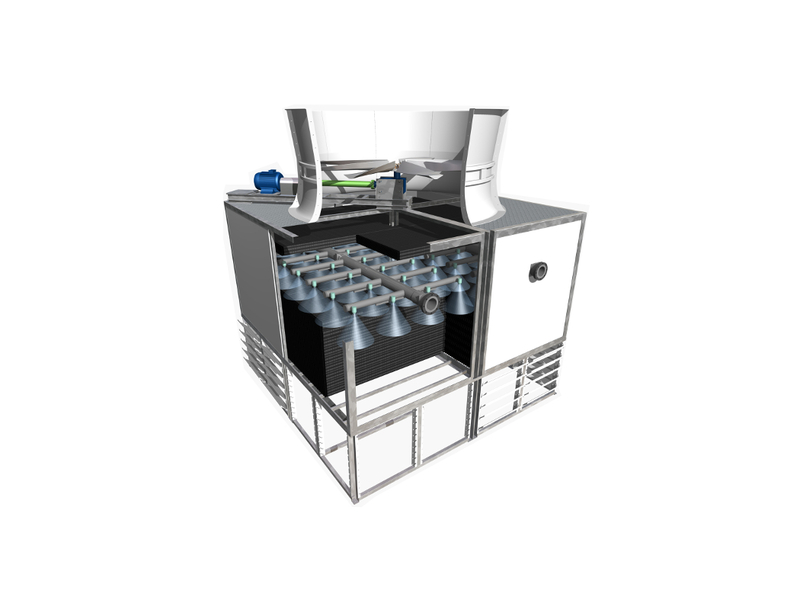 The PME-E series is suggested for medium and large size plants, all models are totally pre-assembled at our factory. LOAD BEARING STRUCTURE in high thickness, hot dip galvanised steel (galvanisation process in accordance with UNI EN ISO 1461-99 standard, thickness not inferior to 80 micron). CASING consisting of 22 mm thick polyester resin sandwich panels reinforced with fibreglass with gelcoat for UV-protection. Sealing between the load bearing structure and the panels is guaranteed by a special bituminous sealing gasket. The tower casing is equipped with FRP man-sized access door(s) in hot-dip galvanised steel after fabrication frame to allow easy inspection and access to the inside of the tower. Totally removable side-wall(s) (each 2100x1760mm), located on the short side(s) of the PME-E units, can be supplied as an option, to simplify routine maintenance operations to the tower internal components. PERIMETER FRAME with FILL PACK SUPPORT in high thickness, hot dip galvanised steel (galvanisation process in accordance with UNI EN ISO 1461-99 standard, thickness not inferior to 80 micron). It is located and fixed to the base of the tower body to form a strong structure. Hot dip galvanized steel after fabrication metal supports are fixed to the frame to support the fill pack. FAN DECK entirely in FRP, adequately structured and reinforced, with gelcoat for UV-protection. Every fan deck is equipped with an adequately sized FRP fan ring, with such a shape as to minimise vortex and air pressure drops. The axial fan, directly coupled with the electric motor, is located inside the ring. WATER COLLECTION BASIN entirely in fibreglass reinforced polyester (FRP). As standard the basins are equipped of a sloping base with rounded corners for easy cleaning operations, complete with flanged water outlet connection(s), drain, make-up and overflow connections. The basin is a separate component which is fixed to a hot-dip galvanised steel after fabrication frame, which includes the removable FRP louvers. The PMM series is suggested for large size plants, each machine is designed according to the characteristics of the single project, all the models are made of modules and components pre-assembled at our factory. The design of PMM series grants a quick and inexpensive installation, besides the possibility of adaption to existing tanks or structures. – Axial motor-fan with gearbox reducer, low installed power, low noise levels. Motors with IP56 protection. CASING consisting of 22 mm thick polyester resin sandwich panels reinforced with fibreglass with isophthalic gelcoat for UV-protection. The tower casing is equipped as standard with n. 2 FRP big man-sized access doors in hot-dip galvanised steel after fabrication frame to allow easy inspection and quick and safe access to the inside of the tower. FAN DECK entirely in non-slip stretched metal sheet, in accordance with the safety regulations in force, hot dip galvanized after fabrication. The fan deck is walkable and cage ladder/s with handrail/s are available as optional items. LOWER SUPPORT STRUCTURE made of steel profiles, hot-dip galvanized after fabrication, designed to be installed on a concrete water basin. AIR INLET LOUVERS made of FRP, designed to be fitted into the above mentioned lower structure. Maximum operating flexibility to optimize the system according to the different loads and environmental conditions. The structure is made up of protruded FRP profiles, minimizing the presence of metal elements. Each single cell is able to cool water flow rates up to 5,500 m3/hr. The design and the types of materials used are optimal for any industrial process. 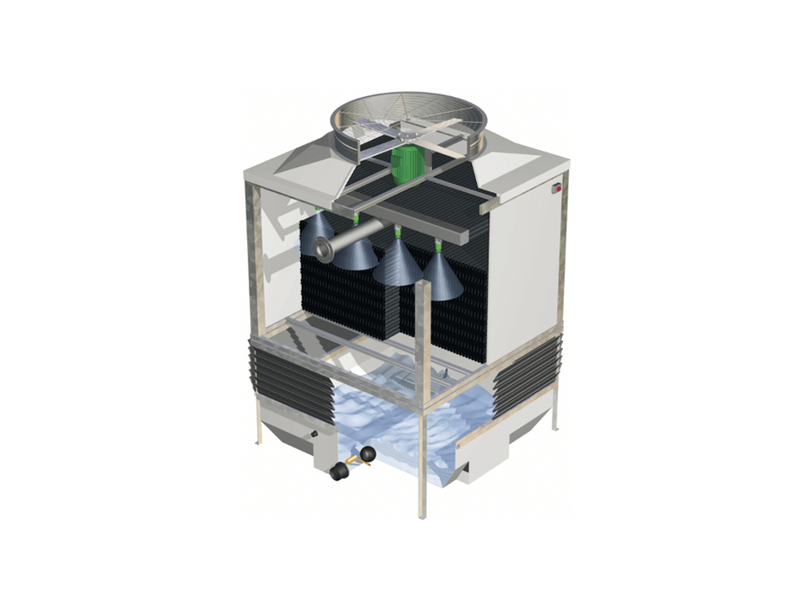 Different types and configurations of heat exchange packs allow treating all types of water, regardless of their aggressiveness. 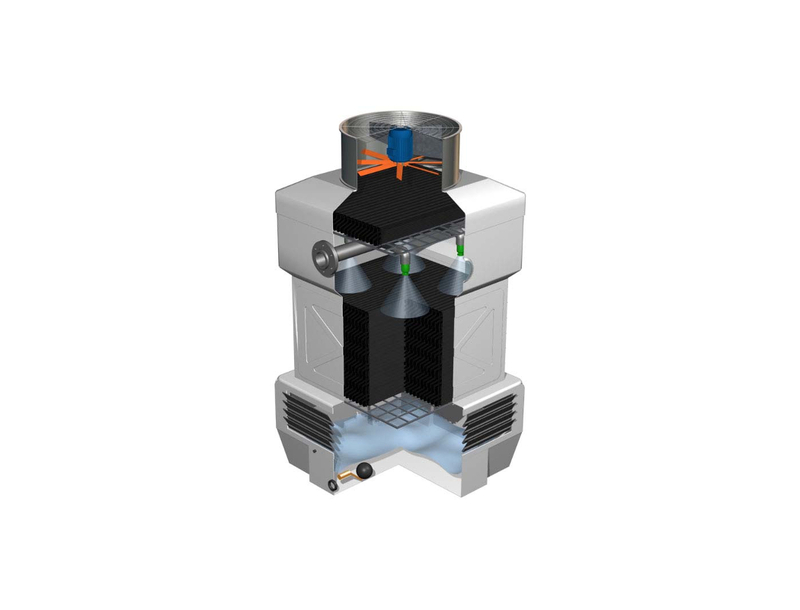 The PU series is the most appropriate option when the flow to be cooled is of considerable magnitude and where the cost of transport (distance and volume of the components to be moved) can have a substantial impact.